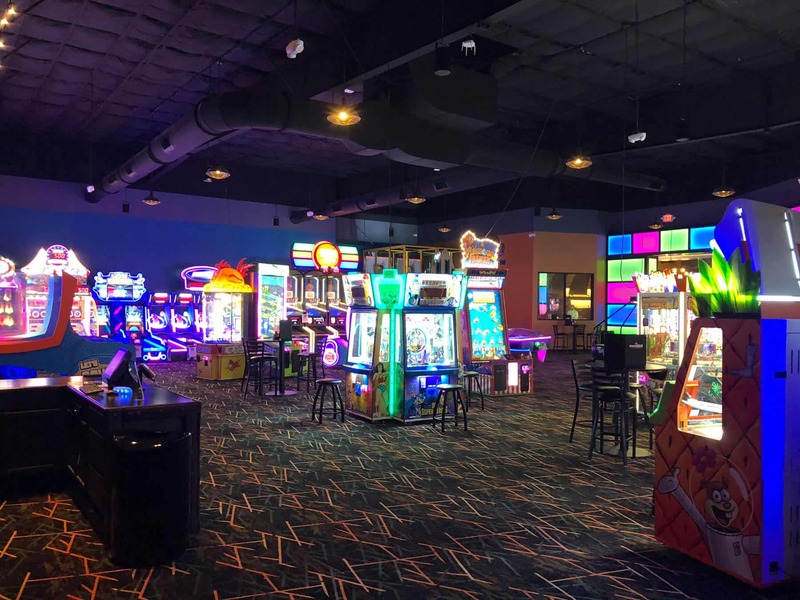 A new entertainment venue is now open on Congaree Road, just off Roper Mountain Road. Spare Time Entertainment is a chain, similar to Dave & Buster’s, Offering a restaurant and Arcade style games, but adds Laser Tag, An Escape Room and Bowling Alley into the mix, giving you and your kids more options to stay entertained. The 52,000 sq. 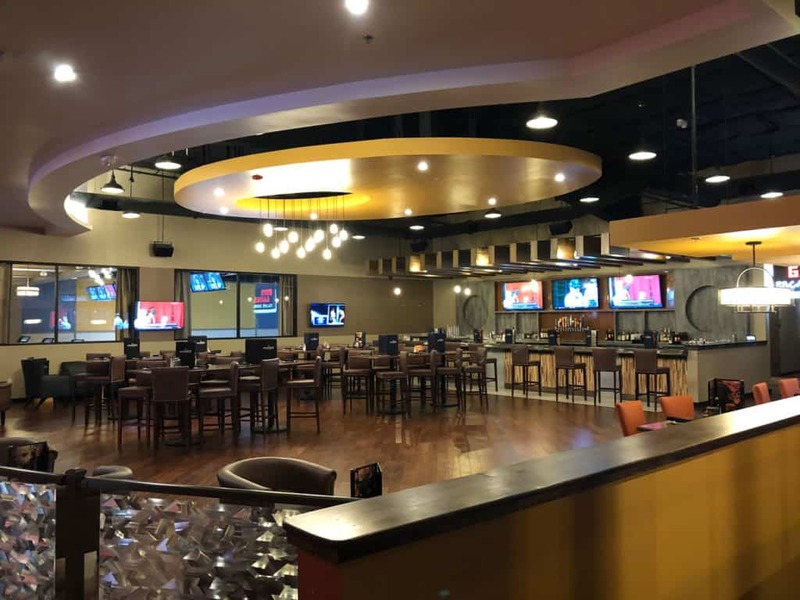 ft. venue has a restaurant, 4 bars, and a 22-lane bowling alley and a large, covered, outdoor seating area. The decor is a little more upscale and less glitzy than the D&B down the road. 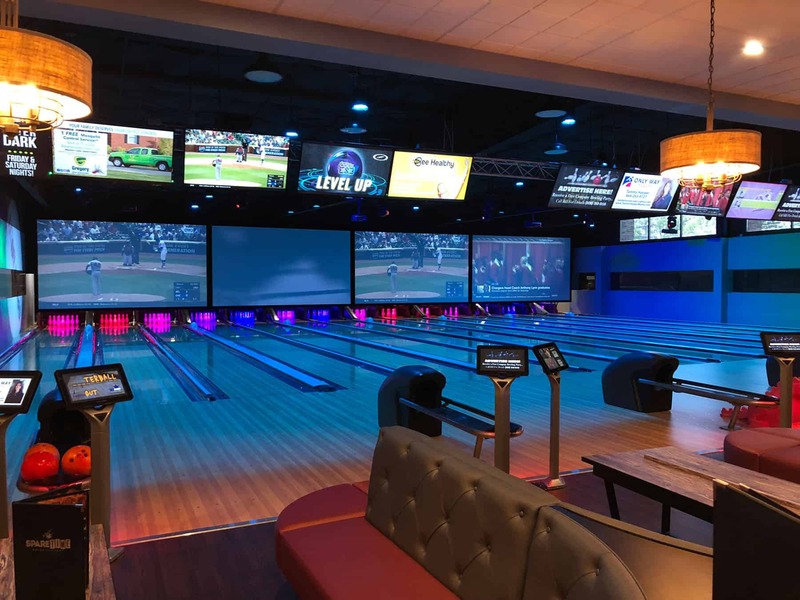 They also offer Birthday party packages, and bowling leagues this summer. During the week, bowling is a flat $5.99 per game, and on the weekends, lane rental is $32.99 on off-hours and $37.99 during peak hours. 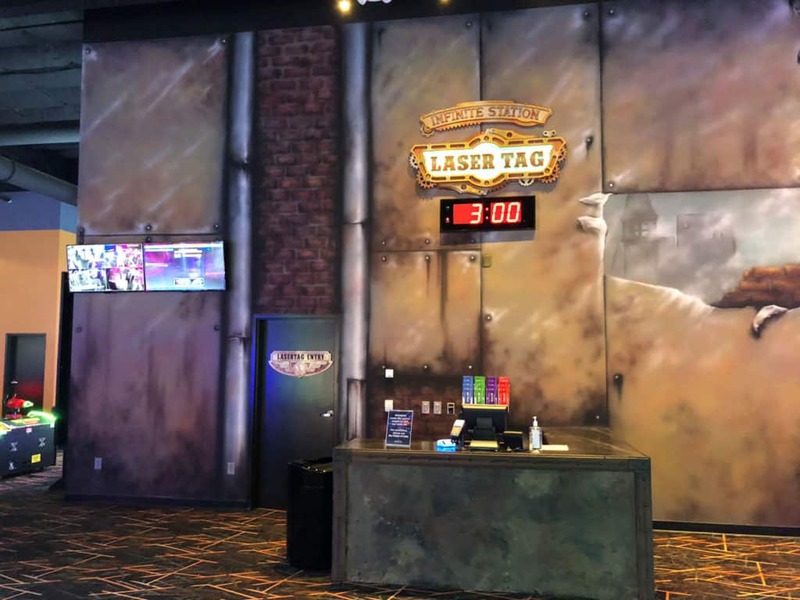 Laser Tag is $8/person and Escape Rooms are $24. 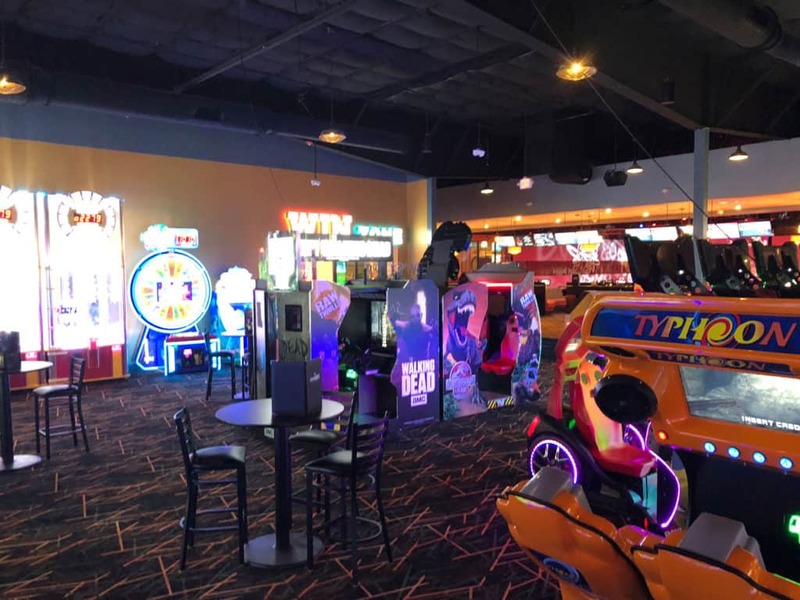 If you’ve been to Dave & Buster’s, then Spare TIme will feel familiar. 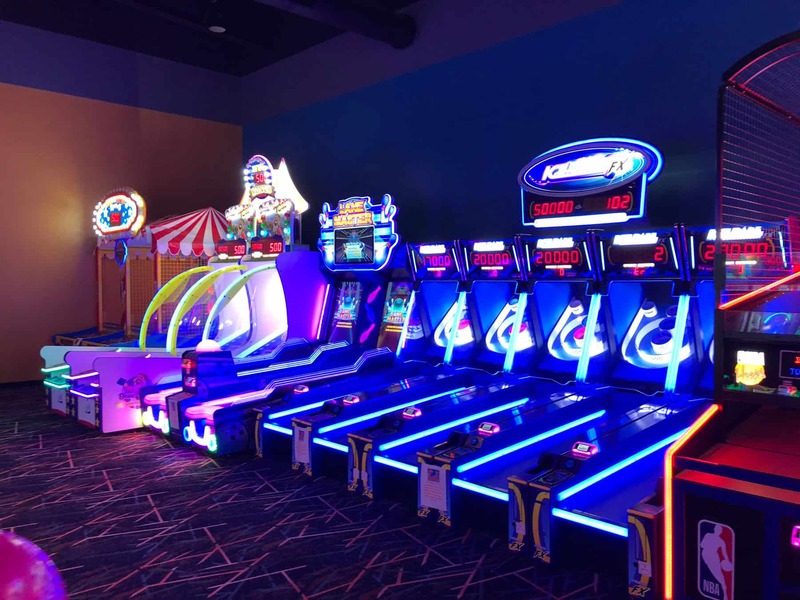 To play the arcade games, you load up funds on card and swipe them at the machines. The one thing I really liked, was that the games show the prices in dollar amounts – At Dave & Busters, your dollars get turned into a credit system that makes it difficult to know how much you’re spending – at Spare TIme, the prices are clear. When you’re done playing, you can take your Card to the gift shop and trade in the points you’ve won for prizes. 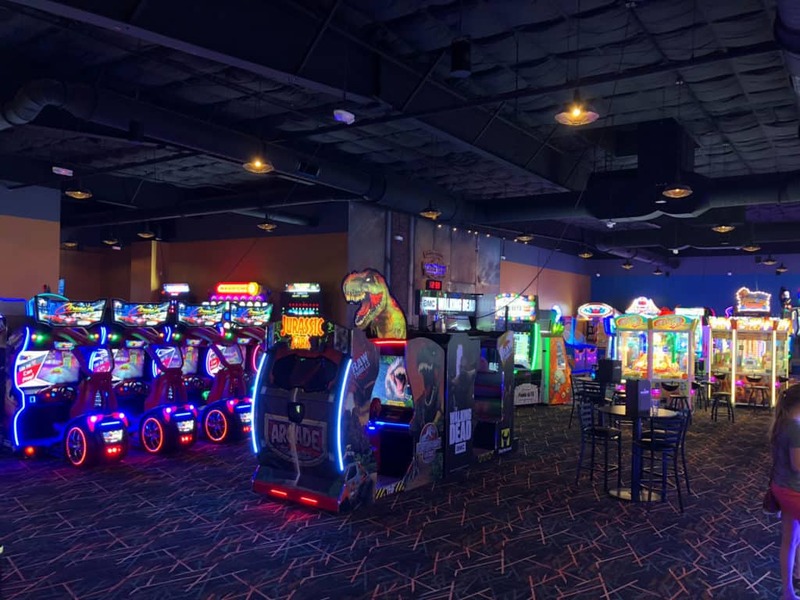 We didn’t try out bowling or laser tag, or the restaurant, but the menu looks pretty good, Including their 28″ Goliath Pizzas, which range from $39-$49, and can hopefully feed at least 4-5 people. 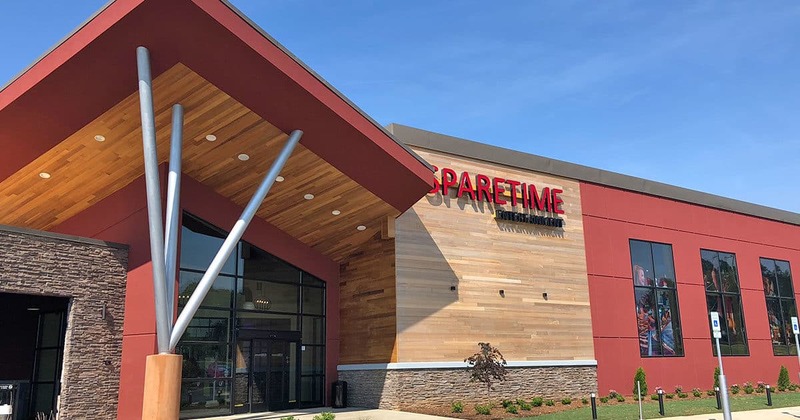 Spare TIme Entertainment is open until at least midnight 7 days a week, and 2 a.m. on Fridays & Saturdays.